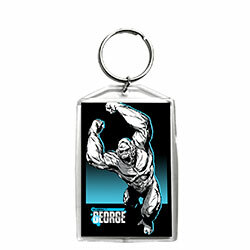 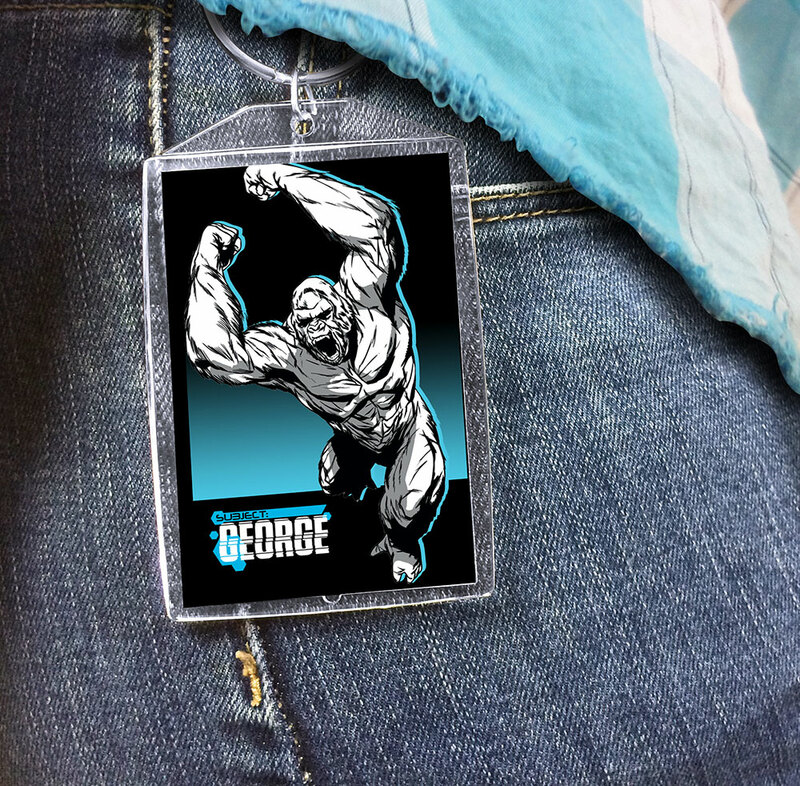 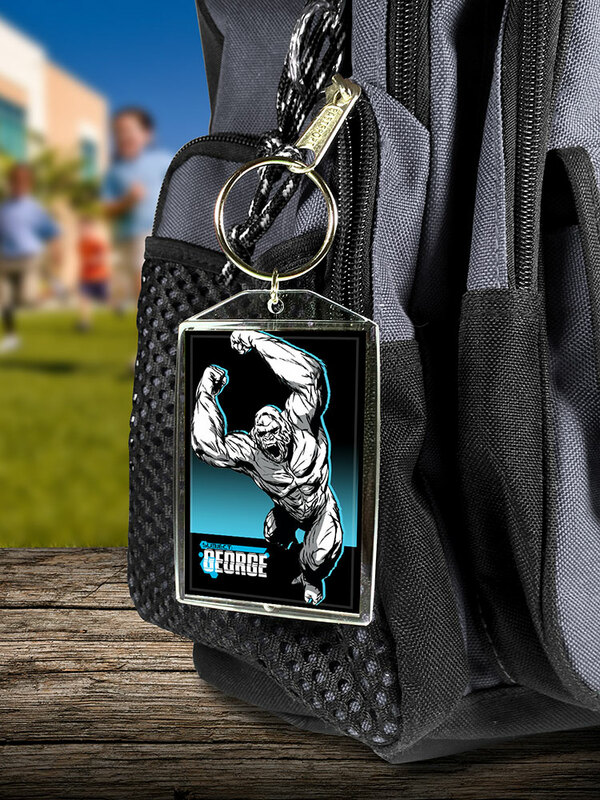 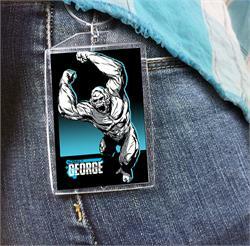 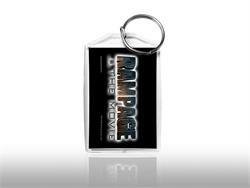 This acrylic keychain features an image of George from Rampage. 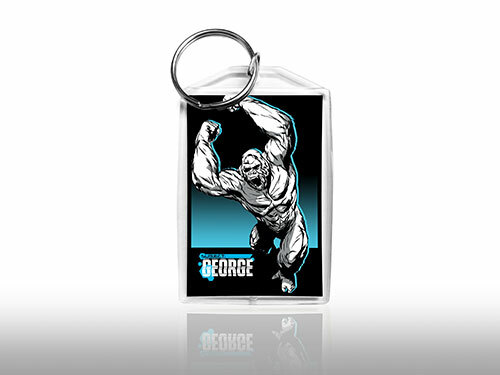 Best bud turned monster. 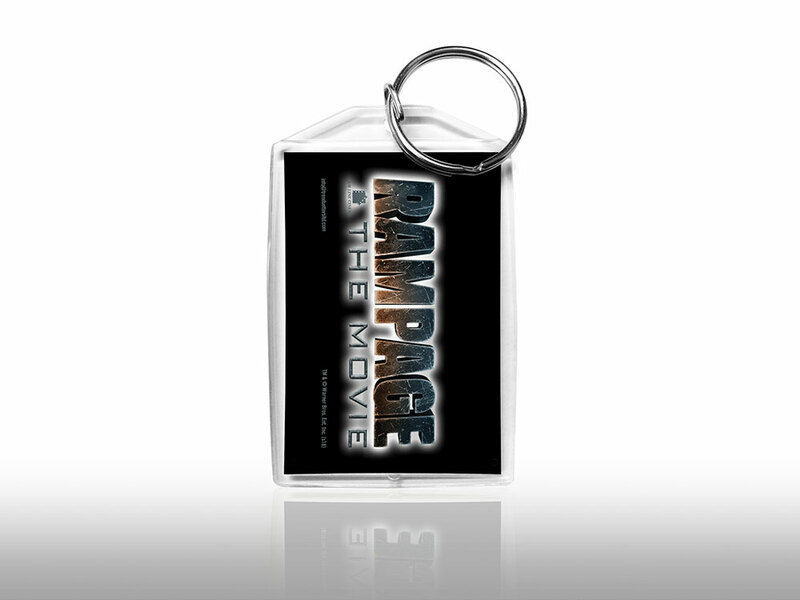 The back of the keychain features the Movie’s Logo.